Gourmet cheeses are a world apart from the factory produced cheeses found in the chain supermarkets. However, gourmet cheeses can be hard to find locally if you don't have a go-to specialty market or cheese shop. Here are some online sources where you're sure to find some fantastic tasting cheeses. 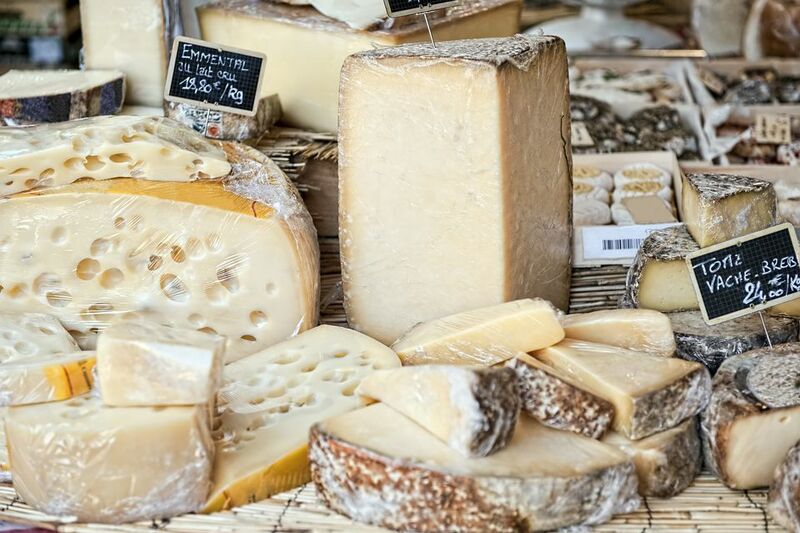 IGourmet has an incredible selection of over 800 cheeses from 36 countries. The igourmet website is easy to use with detailed information on every cheese and customer reviews. Great prices, excellent shipping, and top notch customer service (igourmet gets an A+ from the Better Business Bureau). You will also find lots of cheese accompaniments, wines, and cheese tools to make your cheese tasting experience complete! Artisanal is a wine and cheese bistro opened by New York celebrity chef, Terrance Brennan. Chef Terrance has opened his pantry doors and made his collection of more than 300 world-class cheeses available to the public. Prices may be a little above average, but customer service is impeccable and there are cheeses here you won't find anywhere else in America. If you are really into cheese, we recommend you check out their Cheese of the Month Club. La Tienda is a fantastic online store that carries all sorts of things related to Spain. Their best products, however, are the incredible assortment of delicious cheeses imported directly from Spain. Spanish cuisine is one of my favorites and the cheese made there is some of the finest in the world. Check out La Tienda for some delicious finds. Murray's is probably the best cheese shop in New York City. Wide selection of over 250 cheeses. These guys have been around for a long time (since 1940), so they know what they're doing. Their website has a nice search feature that pairs cheeses with your beverage of choice. Good overall selection of cheeses from around the world, although not as diverse as the sites listed above. Has some very good American standbys but a limited selection. Good service. Huge selection of great world cheeses. However, falls short when it comes to American cheeses. Has a nice search feature that allows you to search by country, texture, milk type, or category of cheese. They also have a very nice selection of other gourmet foods like caviar, truffles, and oils. Selection of over 300 artisan cheeses from around the world. Not all cheeses are listed, so if you are looking for a particular cheese, contact them if you don't see it. Over 600 varieties of cheeses from around the world. The Mozzarella Company is a small cheesemaking factory in Dallas, Texas. Mozzarella, of course, is their specialty but they also make a wide assortment of other hand-made cheeses. Caciotta, creme fraiche, cream cheese, feta, fromage blanc, mascarpone, goat cheese, montasio, and Queso Oaxaca are just some of the great cheeses available. You can also buy mozzarella curds in 5-pound blocks if you desire to make your own mozzarella. Gift baskets and a cheese-of-the-month club. Nice selection of gourmet cheeses along with cheese tools and accompaniments. What Is Emmental Cheese and What Is it Used For?